The Red Prophet ― The Punishing Intellectualism of Vine Deloria, Jr. In the face of looming, tumultuous global change, this examination provides answers for those venturing into Vine’s work in Indigenous and non-Indigenous politics, ecology, and organization. 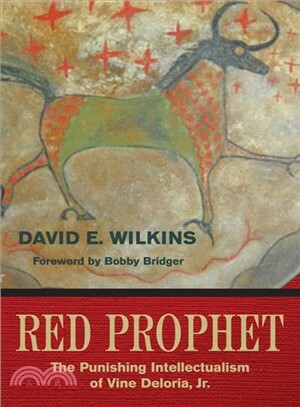 David E. Wilkins’s insights, based on his personal relationship with Deloria, document the sacred life and legacy of “one of the most important religious thinkers of the 20th century, according to TIME. David E. Wilkins is a citizen of the Lumbee Nation and holds the McKnight Presidential Professorship in American Indian Studies at the University of Minnesota. Wilkins is the author or editor of a number of books, including Dismembered: Native Disenrollment and the Battle for Human Rights. His articles have appeared in a range of social science, law, history, and ethnic studies journals.